Tickets for the Choir’s popular Christmas Concert, Deck The Hall At Their Seven O’Clock Christmas Concert, are now available. 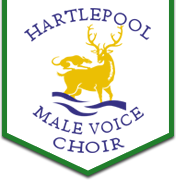 The concert takes place in Hartlepool Borough Hall on Friday, 16th December at 7:00 p.m.. Please take note of the change to the starting time – hence the title of the concert The popularity of the choir always ensures a full house, so buy your tickets now to avoid disappointment. They are priced at £10 and £8 for concessions and are available from any member, by phoning Duncan Graham, our chairman, on 01429 296945, Mick Waller, our secretary, on 01429 423063, at Payne’s, 194 York Road, Fens Fish Grill, 402 Catcote Road, Headland Discount, Northgate or at the door.